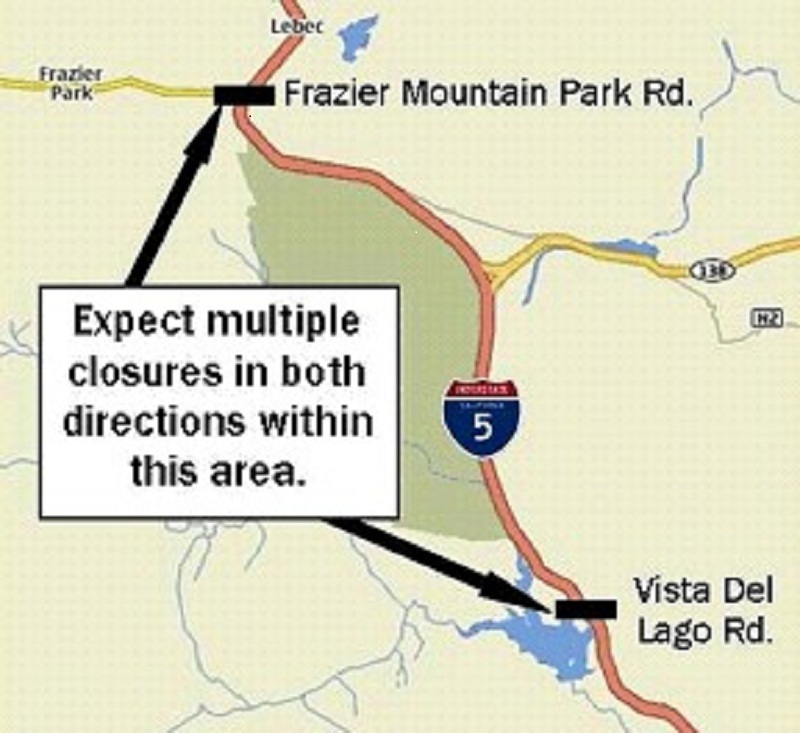 * Northbound I-5 between Vista Del Lago Rd. and Frazier Mountain Park Rd. One lane: One lane may be closed at any time; Up to two lanes: 7 p.m. to noon. * Southbound I-5 between Frazier Mountain Park Rd. and Vista Del Lago Rd.